Howdy Star Wars comic fans. A week or so ago I revealed the next John Tyler Christopher variant cover Klaatu and added him to my action figure variant checklist. However, I have been a little bit busy with my YouTube channel recently, so this is the first chance I have had to write up a post about the cover. 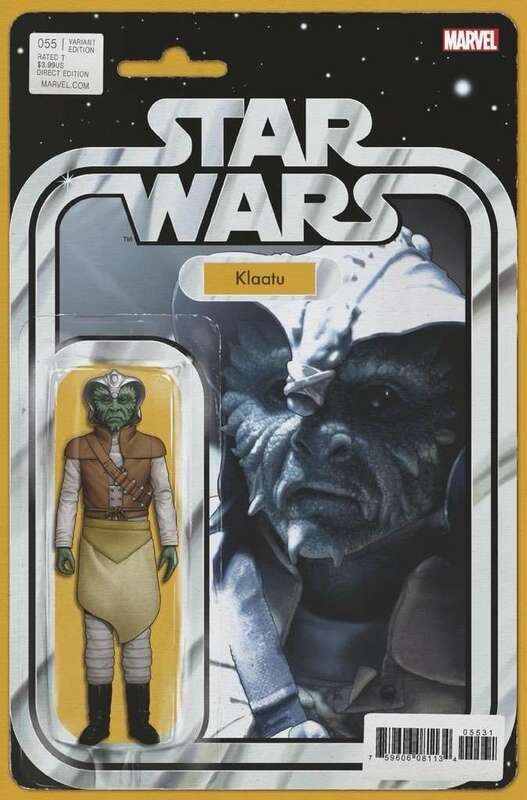 Klaatu features on issue number 55 of the main Star Wars series and continues the Return of the Jedi characters. 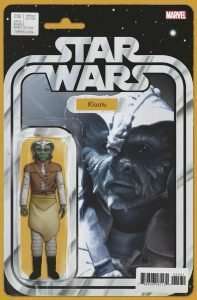 Klaatu worked for Jabba the Hutt and was involved in the battle with Luke Skywalker above the Sarlacc Pit. 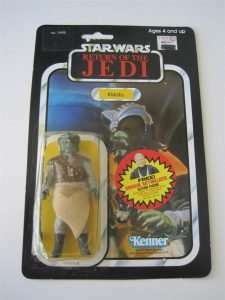 The vintage action figure is one of the more common figures but still a good character to have in your collection. John Tyler Christopher captures the likeness perfectly both with the figure artwork and the backing card. Another great cover for the collection and it leaves me wanting more! Take a look at the cover below.